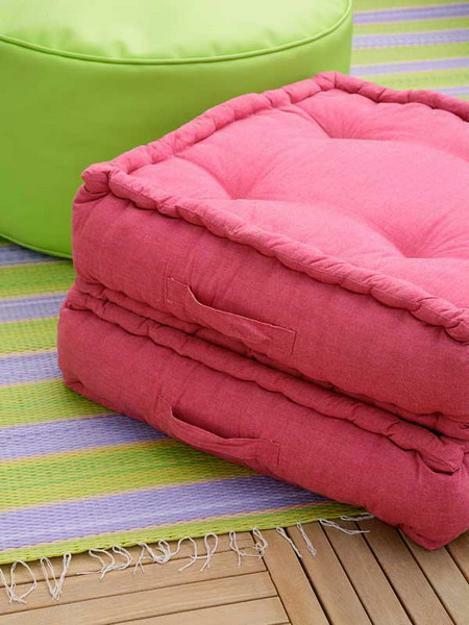 Pink color is great for spring and summer decorating. It brings romance and tenderness into your outdoor living spaces. Pink and green color combinations work wonders, adding charming and bold contrasts to balconies, patios and small backyard ideas.Pink and green color combinations look fresh and festive, soft and tender. Combined with white decorating ideas, they turn small outdoor rooms, balconies and patios into beautiful outdoor living spaces. Here is an example that demonstrate how to redesign and decorate your balcony, terrace, patio or a small backyard with green and pink color combination, white paint and flowering plants. A private balcony or terrace is transformed into a cozy oasis with these light green, white and pink color shades and a touch of lavender purple and Golden yellow colors. These bright backyard ideas create a charming place for relaxation or a summer party. White painting, colorful fabrics with various patterns and flowering plants change the way outdoor furniture piece look, bringing bright and cheerful details into outdoor home decorating. 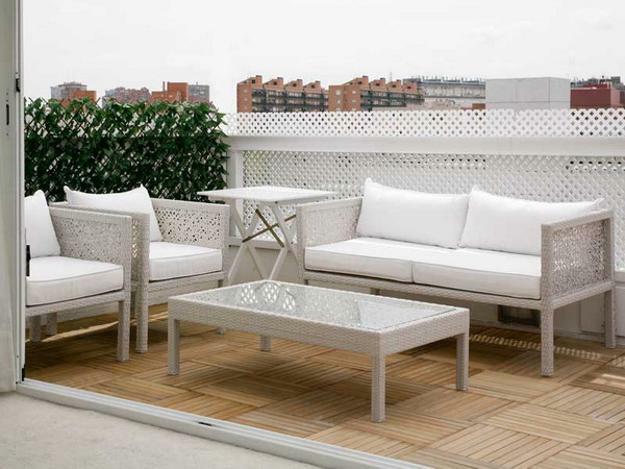 Outdoor furniture is an important element of outdoor home decor. 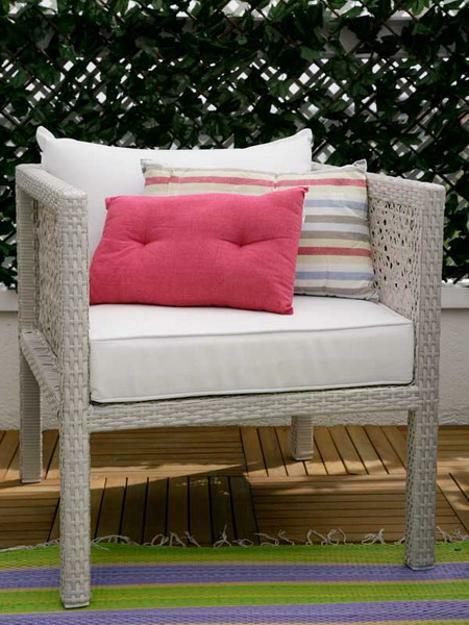 Comfortable and functional outdoor furniture add fun to spring and summer decorating. Compact or large, made of wood, metal or wicker furniture provide a nice outdoor seating area to enjoy the nature.Bright decorative accessories, colorful cushions, upholstered ottomans and pillows, combined with flowerpots and flowering plants add even more comfort to outdoor home decor and make it very attractive. 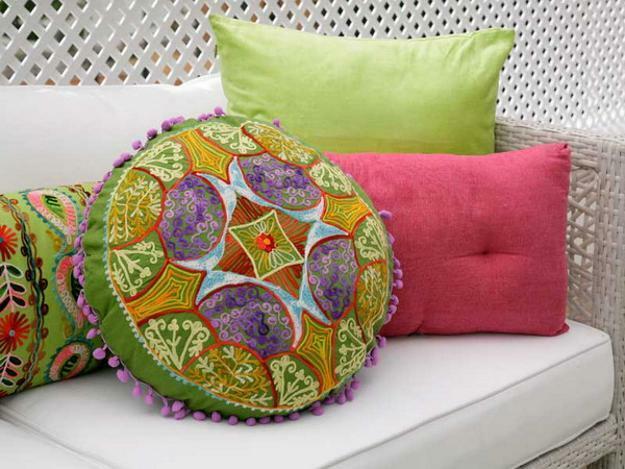 Bright decorative accessories in pink and green colors are perfect ideas for spring and summer decorating. Various decoration patterns and interesting prints in white, pink and green colors look fantastic with creamy white, purple and pink flowers and green leaves, adding tenderness and romance to small backyard ideas and beautifying balcony and patio designs. 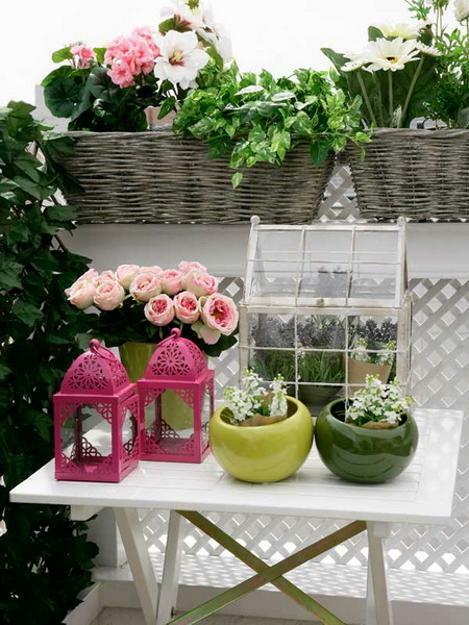 The light green and pink color combination, floral or striped decoration patterns, colorful outdoor home accessories, tableware and containers for flowers, lanterns and painted white baskets create the amazing place to enjoy outdoors in elegant style. 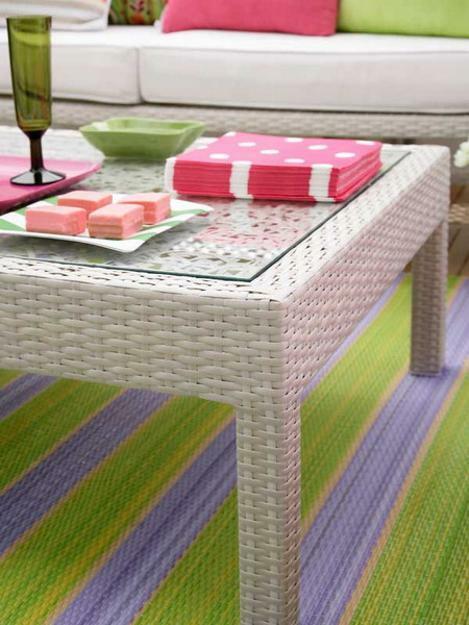 Still the look, use the light green and pink color combination with white painting ideas to brighten up your outdoor rooms. Add flowering plants, flowers in containers that match the colors of your glasses and dishes, and create the perfect setting for a party, enhanced with cheerful, fresh and romantic spring and summer decorating color shades. Even of your balcony is really small, it is nit a reason to give up on outdoor home decorating. 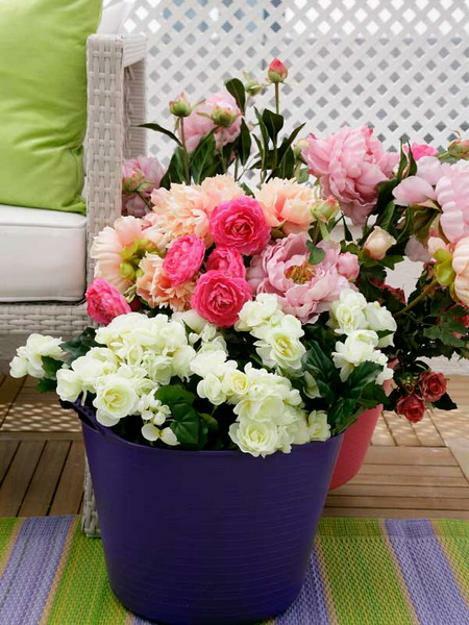 Flowers are universally appealing, inexpensive and spectacular home decorations. 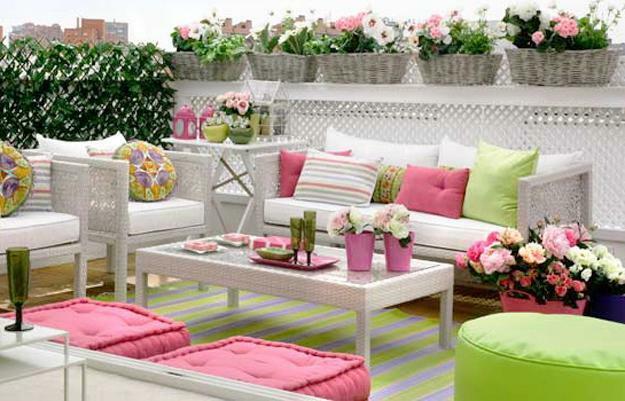 Here is a way to redesign your your outdoor rooms with flowering plants, and add stylish and bright pink and green color combination, inspired by spring flowers, to your balcony, patio, porch or small backyard ideas, and then enjoy gorgeous outdoors in summer.